To share a very special place and help it endure. Ayrlies Parklands is the name given to the eleven-lot subdivision which is an exclusive development surrounding the world renowned Ayrlies Gardens. The Ayrlies Parklands development shares the amenity, value, and beautiful character of this extensive garden landscape. This project is a particular labour of love for us. One of our founders, Beverly McConnell, was the creator of the world famous Ayrlies Gardens in Whitford in 1964. It includes approximately 15 acres of garden and 35 acres of wetland – and it’s a very special peaceful place. Ayrlies Parklands will firstly sustain the Ayrlies Garden and Wetlands for future generations. It will also enhance the greater landscape beyond the Gardens by providing subdivisions thoughtfully placed to provide excellent views and protect the Wetlands and Garden at the same time. 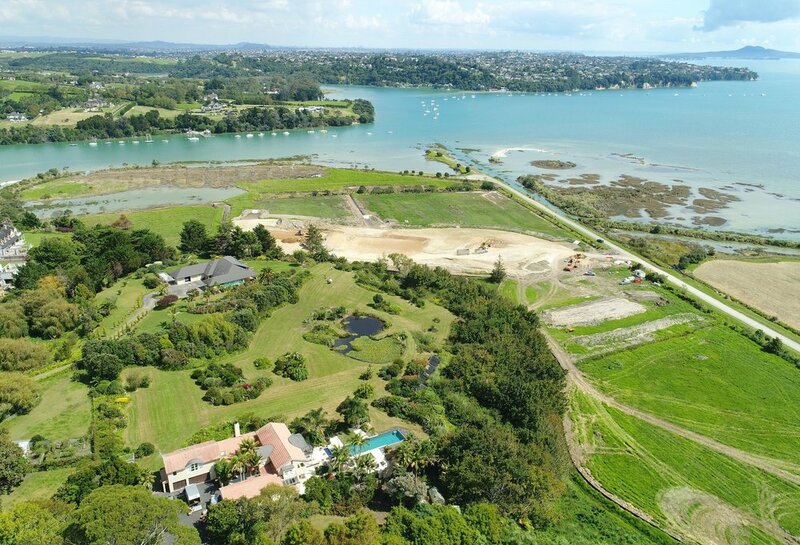 Fencing and planting of the 20m wide Esplanade Reserve and a saltmarsh area with coastal native species will enable continuity of landscape, and provide a protective habitat for thousands of native and migratory birds. The land development is nearly complete with sales expected to commence in late Spring 2018 following the issuance of titles.